Plans to level the former cottage turned garage and “Udder Room” for the adjacent Avedano’s Holly Park Market on Cortland Avenue are in the works. As designed by Schaub Ly Architects and newly rendered below, a four-story building will rise up to 40 feet in height upon the 237 Cortland Avenue site, with three three-bedroom condos over an expanded retail space, sans a garage, across the building’s ground floor. And yes, a new sidewalk and street tree would replace the cottage’s existing curb cut and driveway. We’ll keep you posted and plugged-in. That whole block has got to go! What a dump. Yup, exactly. Talk about underdevelopment. Much more efficient and get some good retail in the area. This block of Cortland is residential (between Bonview and Bocana) and very similar to the blocks west of it. Walk another block or two east and there is plenty of retail. Tear down! Are you crazy? Great Victorian retail building on the corner housing Pinhole Coffee which is festooned with one of local muralist Amos Goldbaum’s pieces featuring it as cornerstone to the neighborhood. That was my thought too: notice how the two corner buildings have canted rectangular bay windows that complement each other…nice touch !! Perhaps Phil I. Stine Coffee is more to the commenters’ liking. There’s definitely a shortage of modern buildings that complement each other. Even in situations where one building is much older, and was designed with the expectation that its neighbor would complement it (for example a large flat property-line wall is designed with the expectation that the neighbor will be built to match), modern buildings often seem to be designed in a way that actively refuses to engage (e.g. by leaving the blank wall exposed). Very annoying! 40’… four floors… taking into account the width of the roof and the floor/ceilings, what are the units going to have 8′ ceilings? Locals are going to love 3 three bedrooms and zero parking spaces. Someone will have to move the 9mpg ’98 Suburban somewhere else… Otherwise, nice to see the Richmond Special architecture school continuing to hold sway over design trends. Back because it never left. I saw a garage on one of the tiny, narrow side streets in BH with not one but two full sized Hummers parked (somehow) in the garage. I always thought a core feature of the Richmond Special was that it included driveways perfectly spaced to maximize the loss of on-street parking. By that measure, this project fails miserably. By any sane measure, it seems much more successful – assuming the local naysayers don’t kill it. Yeah, the garage is central to the definition of a Richmond Special. The way it’s usually done is that there’s either an extra-wide driveway, or the driveways are spaced so that instead of a 16′ space per house there’s a 10′ space followed by a 22′ space. Which is ideal because it guarantees the owner a street parking space that few others can use! I’m pretty sure it’ll be the tallest building on Cortland. No chance anything taller would make it through. Four stories is too high. No set aside parking ensures more delivery people parking in neighbors driveways. It also means more deliveries will double park, creating a very chaotic traffic mess. This block is a high pedestrian block which includes a lot of very young children running about. With more people looking for parking and more deliveries–you can be sure there will be an increase in accidents. The neighborhood could definitely use more housing but building 3 luxury apartments doesn’t really address affordable housing which is what the neighborhood needs. 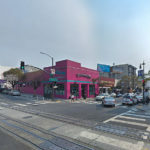 What value does the block or Bernal get with more $5000+ a month rent? That means more shared housing-no families. It’s most likely a code thing in that doors that swing out can’t cross the property line without a minor encroachment. Easier to simply recess 3′-0″ and not deal with an encroachment and a dangerous condition where a door can be opened out over the sidewalk. I’d be thrilled to have some more neighbors. SF desperately needs housing, and Bernal Heights is as fine as place to put it as anywhere. 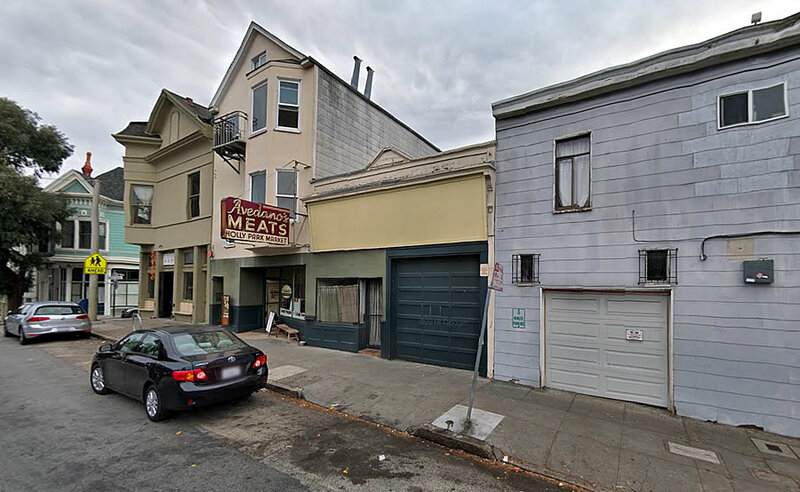 Who are you people in regards to tearing down the buildings in what is/was a piece of Bernal Heights history? Are you being serious? If so, I’m a neighbor who is all for it. They built something almost exactly like this further down Cortland (near Folsom). Same style and it also doesn’t have parking. As far as I can tell, the world is still turning and the neighborhood hasn’t succumbed to carmegeddon. It’s kind of like the modern version of the Edwardian 3 flat buildings all over the city built to address the last major housing crisis after the earthquake. Sadly it’s the cut/paste style of architecture with little thought as to the long term aesthetic. Even adding a little molding around the windows will age better as the dust and soot from the 101 and 280 freeways builds up. Not that my view counts, but as a longtime BH resident I must say, most of Cortland avenue needs development like this & fast! Cortland has been underdeveloped for a long time. I’m not sure on the code matters, but several businesses need to go & modern housing this height needs to be built in and around Cortland avenue. This area is truly lost in time. We need to catch up & fast! There is a well-known housing crisis that’s been years in the making. Enough talk & more building. Bernal Heights need to be built up within code as far as this type of modern dense housing is concerned. That ridiculous pentecostal church is so old & dilapidated it needs to go. Hope Bernal Breeze covers these issues better in the future. 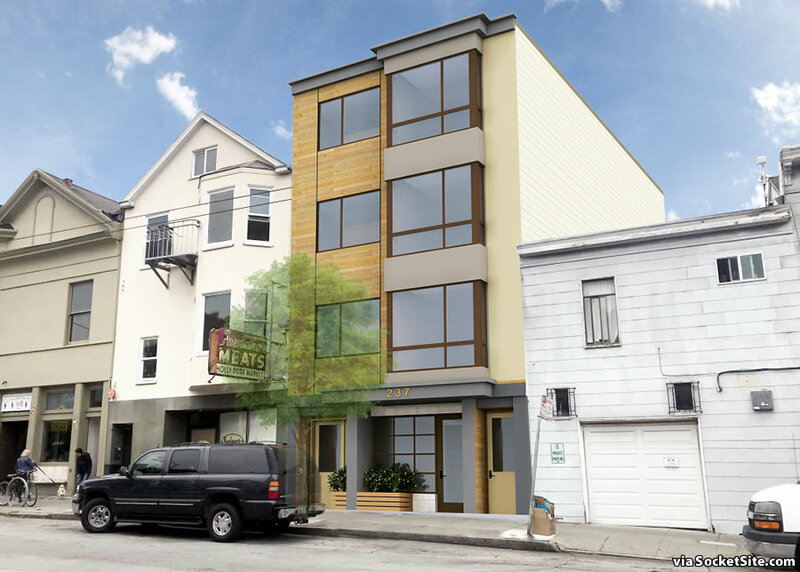 Cmon planning commission, start to build up housing in Bernal Heights. We need it badly! Mr. Garcia in Bernal Heights, SF, CA.